A short drive north of Laughlin, Nevada and Bullhead City, Arizona is a 67-mile stretch of the Colorado River called Lake Mohave. The lake is comparatively narrow, not more than 4 miles across at its widest point. It is confined for most of its length between the steep walls of Pyramid, Painted, Eldorado and Black canyons. Lake Mohave, behind Davis Dam, is part of the Lake Mead National Recreation Area administered by the National Park Service. Lake Mohave is a habitat for fish and wildlife; it also captures and delays the discharge of flash floods from side washes below Hoover Dam. 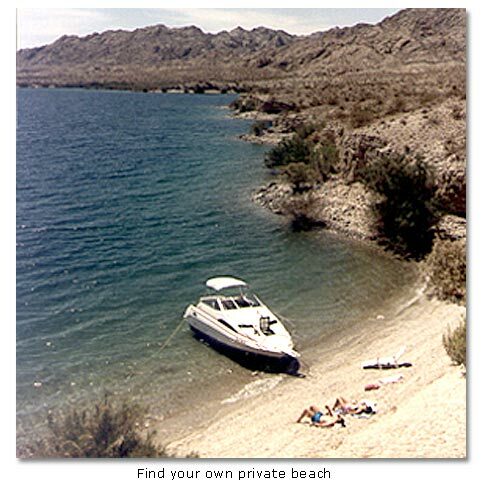 The area around the Lake Mohave and along the Colorado River below Davis Dam also provides a multitude of recreational opportunities, including fishing, boating, swimming, water skiing, camping, picnicking, exploring, auto touring, photography and "just plain relaxing." There are hundreds of beaches that can only be accessed by boat. In the summer, boaters seek out their own private beach site for a base camp from which they then swim, water ski and relax. 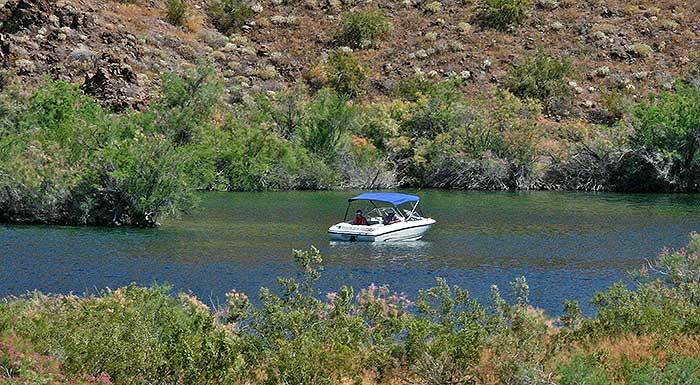 If you like to fish, Rainbow Trout are found in the cool, clear waters at the upper end of Lake Mohave, while Largemouth and Striped Bass are taken from the lower reaches of the lake. 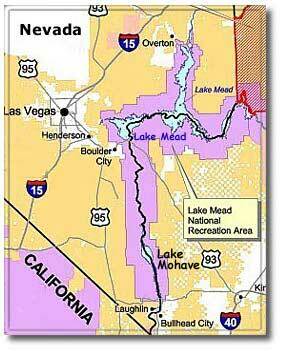 A fishing license from either Arizona or Nevada, to which a special-use stamp from the opposite state is attached, is required for those wishing to fish on Lake Mead or Lake Mohave. Public campgrounds are available at both locations where concessionaires provide trailer parks, restaurants, lodging, docking facilities, boat and fishing tackle equipment, and fishing licenses. Willow Beach, 31 miles upstream on the Arizona shore, has gas for boats and is being updated because it is in a flood zone. Check with Rangers for the latest update. More on boating click here. Entrance fees are for entrance into Lake Mead National Recreation Area. Current locations are East Lake Mead Drive, East Lake Mead Blvd., Boulder Beach and Katherine Landing. Additional locations will be added in future projects. Holders of annual passes will be authorized to enter the park through the far right hand lane of the entrance station. Please refer any questions to the Lake Mead National Recreation Area Fee Management Office at 601 Nevada Highway, Boulder City, Nevada 89005 or phone (702) 293-8906. RV parking at most major Hotels. Davis Camp - Tent sites and RV and campers on the Arizona side of the river.